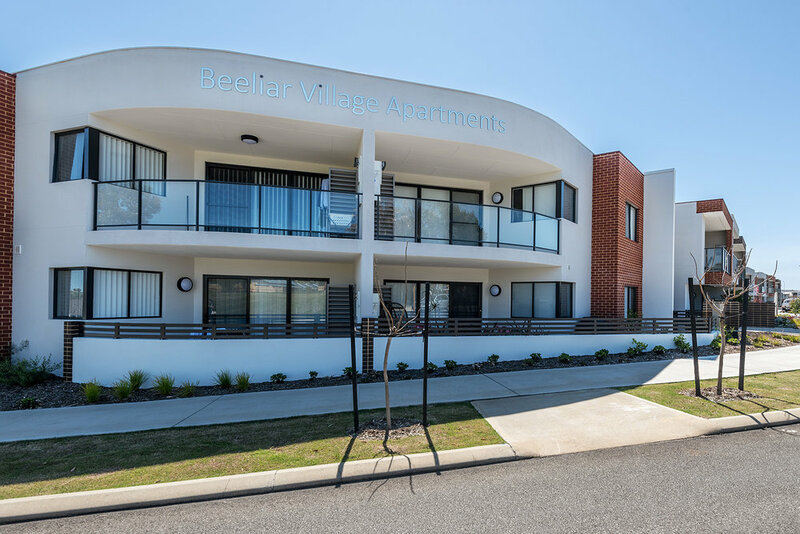 Forged as a friendly new meeting point in Perth's booming southern corridor, Beeliar Village offers all the convenience of a village atmosphere together with great connectivity to places further afield - Fremantle, the beautiful Indian Ocean, Port Coogee Marina, Cockburn Central, the Kwinana Freeway and Perth CBD. Prestige One and Two Bedroom Apartments in the Heart of the New Beeliar Village. 36 Apartments - ground and first floor. Now Complete and ready for settlement and tenancy. Sign up at today's price with just $5,000 deposit with balance payable at settlement. National Rental Affordability Scheme Entitlements will pay Govt incentive annually until June 2026 TAX FREE. Payment for 2018/2019 is $11,248 and this will be indexed annually. All apartments will have ground level covered parking with secure gated entry, individual lock-up storage areas and will be full turn key; all floor coverings, gas hotplate with underbench oven and pull-out rangehood. Soft close drawers and cupboard doors. Stone benchtops to kitchen and bathroom. Fully landscaped grounds.